It's nice not to have to worry about tedious administrative tasks. From taxes to bills and everything in between, fulfilling even our most basic and necessary demands can turn into quite the hassle sometimes. And that's really the best case you can make for auto-renewing your auto insurance policy: convenience. With an auto-renewing policy, you'll be able to keep car insurance well out of your mind and still have your bases covered if you were to be pulled over by a cop or involved in an accident. But auto-renewal is a double-edged sword. Its convenience is sadly diminished by its flaws and consequences. 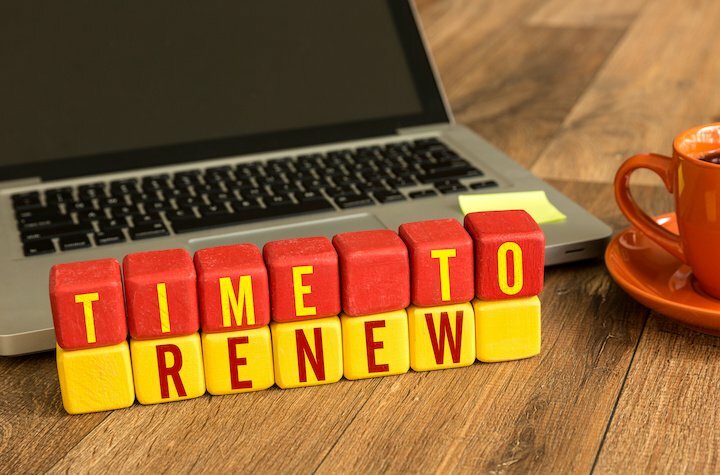 The degree to which that is true will depend in part on the policy holder and his or her preferences, but there is no denying that there very real red flags around auto-renewal. When you've decided internally that you'd like to move on from a car insurance policy, the last thing you want to be told is that you've just been auto-renewed and that cancellation will cost you big time. That, however, is exactly what can happen when you have a policy with built in auto-renewal. There are lots of reasons why you might want to opt out of your policy. Maybe you're getting a different car, found a better deal somewhere else, etc. Whatever the reason is, being handcuffed by your current policy is incredibly frustrating. Auto-renewal will only increase the likelihood that you end up getting burned in that sort of a situation. Humans are creatures of habit, and once you get into a routine of auto-renewal that eliminates the need to make a decision when the renewal period is on the horizon, it can be hard to slip out of that comfort zone. For some—especially those for whom money is no issue—this isn't all that consequential. For others though, being locked in to a policy that deprives them of the incentive to go out and search for better plans is a missed opportunity. Lots of insurers are in fierce competition to bring on new clients, so there's a high likelihood of finding a good deal when you take the time to shop around. Might as well see what's out there. You can find volumes of horror stories about policy holders who auto-renewed and got burned with an inordinately high premium increase. By the time they realized what was going on, it was too late to erase all of the damage. Unfortunately customer loyalty isn't always the first thing on insurers minds. For them, the auto-renewal option is a chance to raise premiums in a way that lowers the likelihood of objection and retains clients while simultaneously boosting profit. Since these increases can mean paying up to hundreds of dollars more per year, auto-renewal can sometimes be a very ineffective financial strategy.